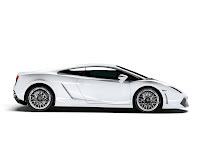 One of the Icon of sports car aside from Ferrari, that is usually driven by a sports car fanatic in the real world is the Lamborghini Gallardo, which is known as the "Baby Lamborghini" because of its size and power that ranks next to its top of the line the Murcielago. 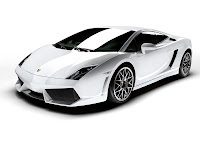 Lamborghini Gallarado is the perfect car if you're looking for an exotic car that has a speed that is still in this world, and yet with its design it is still considered to be a top class exotic car. There are a lot of modifications made for the Lamborghini Gallardo and the latest is the LP560-4, which powered with a 5.2 liter V10 engine that is positioned longitudinally that produces an impressive 560 horsepower at 8,000 rpm which is why there is a 560 in its name and the 4 in the name refers to the Viscous coupling in the transmission that distributes torque between the front and rear axles. 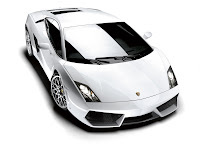 Lamborghini Gallardo LP560-4 accelerates 0 to 62 mph in just 3.7 seconds and reaches 124 mph in 11.8 seconds, this exotic car has a top speed of 325 kmh. Other features of Lamborghini Gallardo LP560-4 includes 15 LED headlights, larger air intakes, newly designed tail lights, additional cooling vents, newly redesigned Bumpers that makes this Exotic car look wider. Acceleration (0-100 km/h): 3.7 sec.